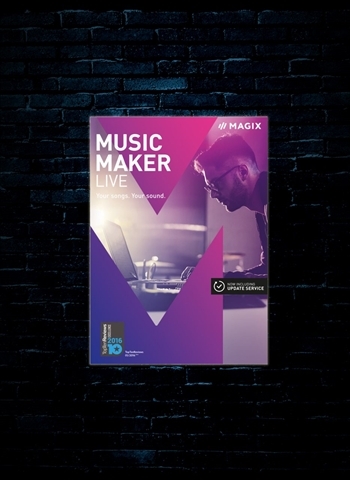 With Music Maker Live Edition you can produce and perform your own music the easy way. Modify the beat in real time, start the bass drop or change the melody – all with just a click! Customize your version of Music Maker Live Edition with Soundpools, effects packages or brand new software instruments. Add them easily and directly within the program via the Store. Combine massive bass sounds with beautiful pre-produced melodies and thrilling snares. Thanks to an unlimited number of tracks, you have enough space for your recordings of jam sessions from Live Pad mode, vocals and the included virtual instruments. With the virtual mixer, various sound effects and tools for mastering, you can bring professional sound to your speakers. Define your own style and expand your version of Music Maker Live with new presets, instruments and loop packages. Preview and select sounds and then add them directly within the program via the new Store. -More than 6,000 sounds & loops for Trap, Hip Hop, etc.